Former Russian oil tycoon Mikhail Khodorkovsky has been found guilty of embezzlement at his politically charged second trial in Moscow. 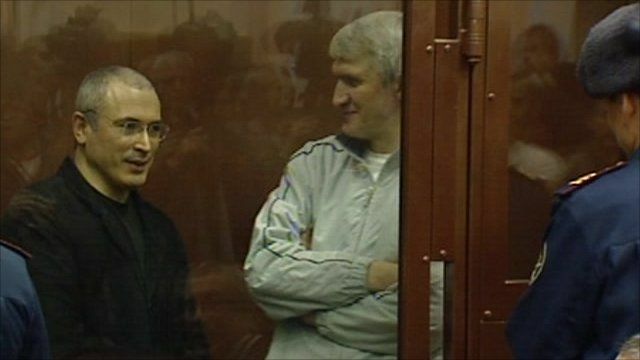 The judge said Khodorkovsky and his business partner Platon Lebedev were guilty of stealing from their firm Yukos and laundering the proceeds. Khodorkovsky is already serving an eight-year sentence for fraud and tax evasion from his 2005 trial.